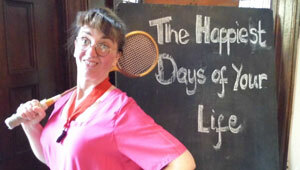 Pantomimes, Plays, Murder Mystery and more. We are a thriving theatre group that produces Plays, Pantomimes, Musicals and Murder Mysteries at our theatre in the Church Hall in Meltham. We have a friendly company of members who work together on-stage, back-stage and front-of-house to create acclaimed theatrical productions which are at the heart of the blossoming Meltham community. Take a look at our up-coming programme of events. Come and join us! We are always looking for new people of all ages to join our ‘family’. So if you feel that you would like to try any or all of the following then get in touch – we would love to meet you! We always need ….singers, dancers, actors, producers, directors, scenery designers, set builders, light and sound technicians, stewards, costume designers and makers, set painters, poster artists and designers…the list is almost endless! We look forward to hearing from you. 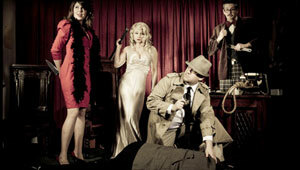 We regularly perform Murder Mystery Evenings at various venues.